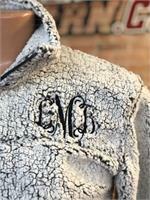 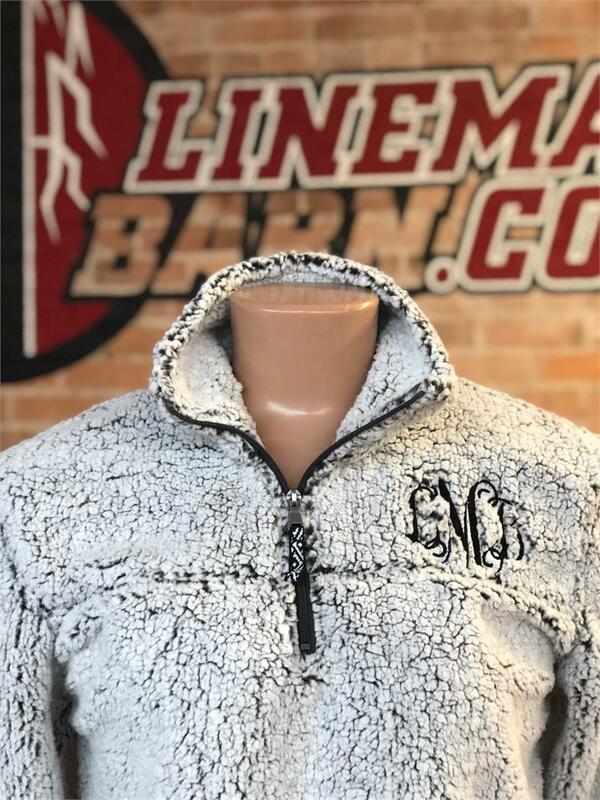 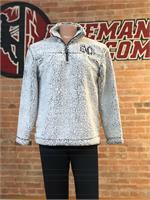 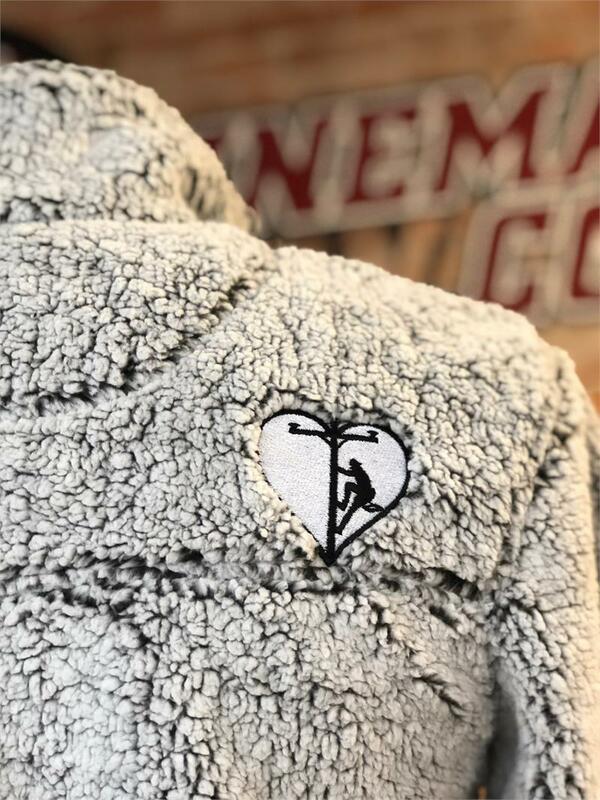 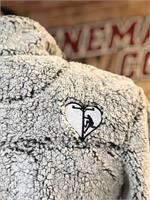 Monogrammed initials on left chest of Sherpa jacket with Lineman heart on back shoulder. 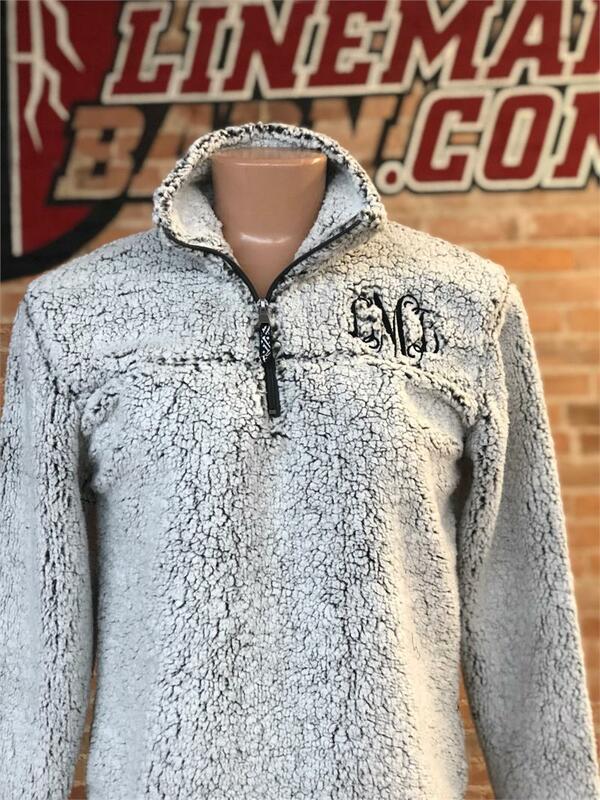 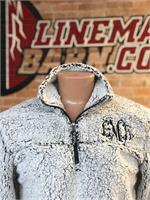 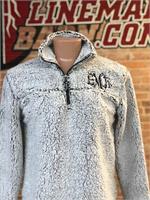 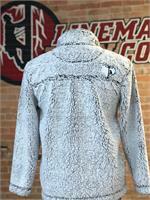 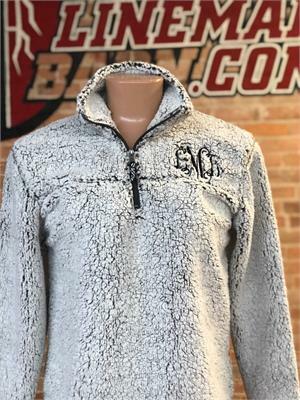 100% polyester two-toned Sherpa 1/4 zip jacket. 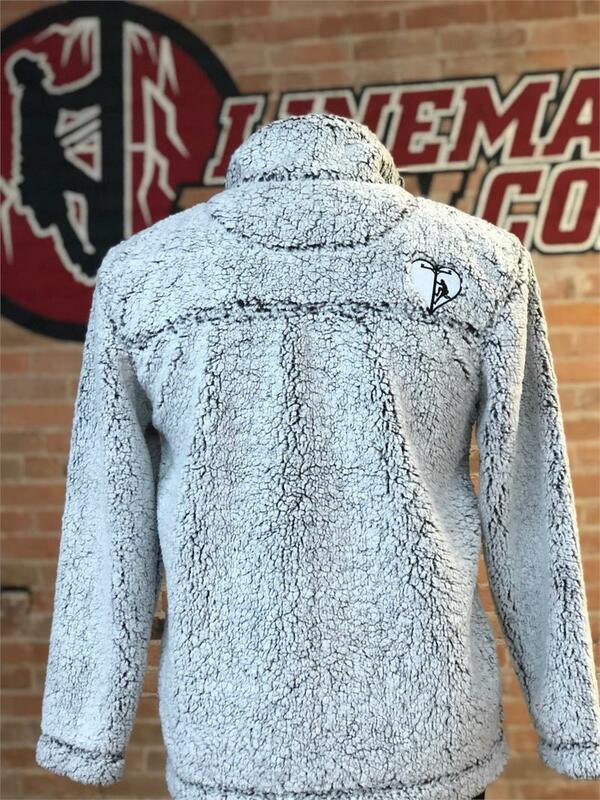 Smoke grey in color. 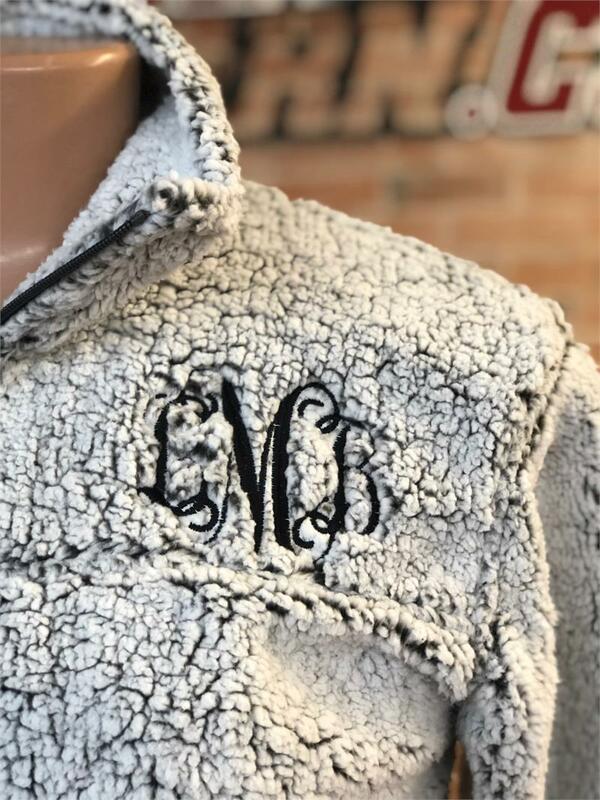 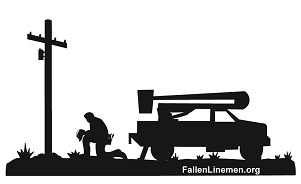 call 573-470-1642 with and questions on monogram.